There I finally finished my mosaic, with the help of my lovely wife and kids but here it is. 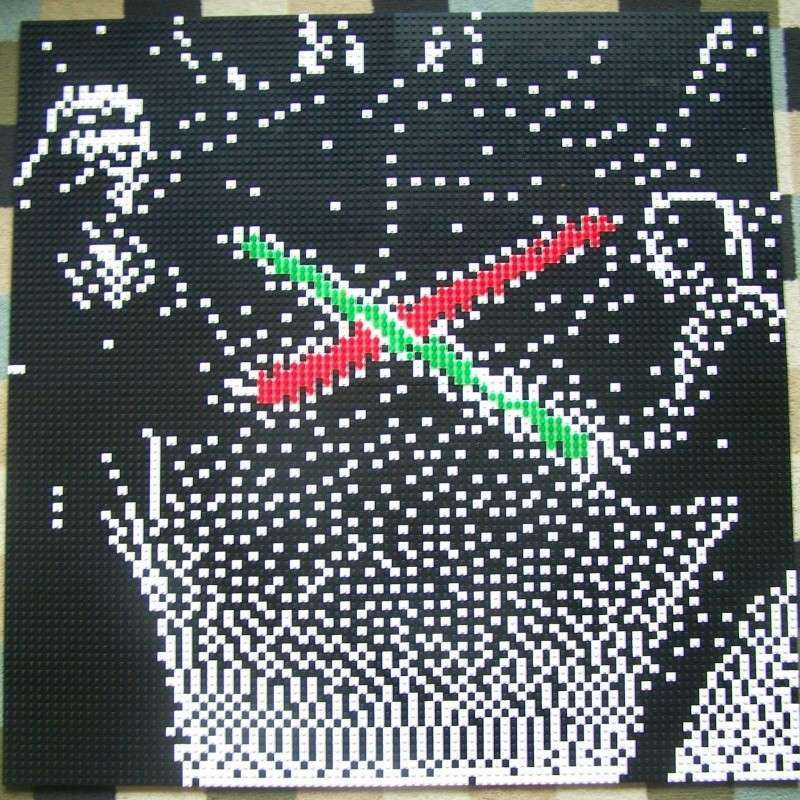 I ordered a couple more green 1x1 rounds for the lightsaber so I guess it isn't completely finished, but oh well. Awesome! I like the use of the transparent (red & green) colors for the lightsabers. I just have to figure out a way now to display it.